We’ve just released the fifth alpha of Graylog v2.0. If you missed the previous alphas, check out Alpha-1, Alpha-2, Alpha-3, and Alpha-4 to get caught up on the new features that we’ve already announced. This fifth alpha release includes a brand new Message Processor Pipeline, a Collector Sidecar, a filter for the Streams page, and some bug fixes and improvements. We’ll be releasing 2.0-related updates on a weekly basis, so check back here, follow us on Twitter, or sign up for our email newsletter to make sure you don’t miss anything. This Alpha release is far from feature complete, but we would definitely appreciate your help with testing at this current state! Please submit issues at our GitHub graylog-server repo. We want to make your experience sending messages to Graylog as easy and flexible as possible. 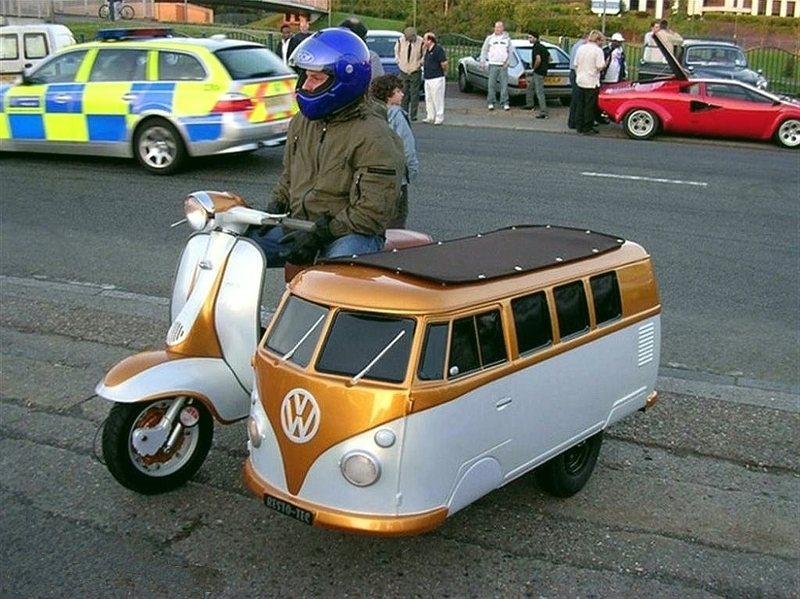 That is why we are introducing the new Collector Sidecar. The Sidecar runs next to your favorite log collector (like fluentd or nxlog) and configures it for you. No more touching of configuration files and most importantly a central configuration from the Graylog web interface. 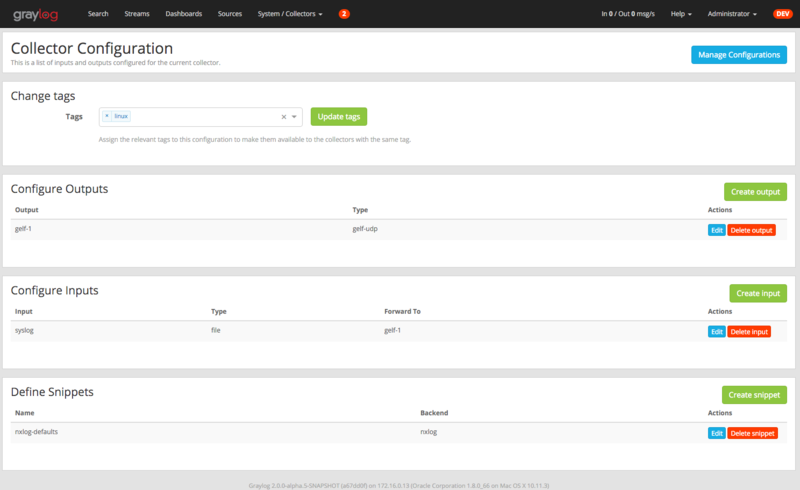 Check out the screenshot to see how you can now configure nxlog remotely to send data to Graylog. The Graylog Collector Sidecar runs on Linux, Windows and Mac OS X. You can download a DEB package and a Windows installer from the repository release page for now. We have also heard you and wrote it in Go instead of Java. This means you'll download a native binary instead and do not have to install any runtime dependencies like a JVM. Graylog has always provided several ways of processing log messages, but sometimes it's been a bit confusing to use or simply not flexible enough. With our new Message Processor Pipeline, we now provide you with a better and more powerful solution that suits all of your processing needs. The Message Processor Pipeline allows you to write custom rules and combine these rules in different pipelines that can transform incoming messages in almost any way you want. It will also be possible to write plugins extending the set of functions you can use in rules, meaning that you will be able to extend the system to suit your specific needs. Please take into account that this is the first version of the processor and we are still working heavily on it, so things may break or not work exactly as expected. Some of you manage tens or hundreds of streams, and sometimes it’s difficult to find the stream you’re looking for among all the options. This release includes a new filter on the Streams page that lets you filter streams by title or description. Docker and DEB/RPM packages are not yet available for this alpha release. We’re super excited about releasing 2.0, and we value your feedback. So please go try out this release and let us know what you think!